We interview e-patient Donna Cryer on her experience as a patient and how social media has helped her. She also highlights why it’s important for patient advocacy organisations to fully embrace the potential of digital tools. Our series exploring the patient journey continues, this time with the viewpoint of vocal e-patient Donna Cryer. Donna shares her experience as a patient with pharmaphorum and explains how she uses social media channels. She also shares why she thinks that patient advocacy organisations need to fully embrace the potential of digital tools. RA: Donna, could you start by sharing your background and how you came to be a vocal e-patient? DC: There are two phases to my patient and e-patient journey. 27 years ago, I was first diagnosed with inflammatory bowel disease, an autoimmune condition, and that ultimately began to affect my liver, and so 18 years ago I received a liver transplant. So that’s how I became a patient. The e-patient part evolved a little more slowly, and certainly has happened a little more recently. Most people identify the e-patient by the electronic part, being online, and certainly being connected to other patients through online channels. But the ‘e’ also stands for being educated and empowered and equipped. Living with multiple chronic conditions over the course of years, and then deciding to spend most of my professional and personal time involved in healthcare that really helped me evolve into a vocal e-patient. RA: How useful has social media been to you as a patient? DC: The greatest value of social media to patients is really for the newly diagnosed as you’re trying to grapple with what is it that I have, what does it mean to my life, who else has it, and what will my life look like now. That’s when social media can play such a really essential role in connecting people to others, and taking away the stigma and isolation, and starting to provide people with strategies to cope and to navigate the condition. But even now for me, as a patient who has had a condition for a long period of time, there are new tools to help me benchmark the symptoms I am developing, or my reactions to different medications, and access to strategies and advances in treatmentare really important. I supplement my social media use with reading old fashioned books and journals offline as well as working with patient advocacy organisations. So I think social media is a very important tool, but it’s not the only tool in helping a patient navigate their journey. RA: What involvement have you had with pharma? DC: I’ve certainly benefitted and benefit every day from the innovation in pharmaceutical products, in medications, I wouldn’t be alive without the immunosuppressant I take, and some of the other medications that I have taken along the way. Secondly, on a very selective basis I have been engaged by some pharmaceutical companies who are really committed to become more authentically patient centred, and to work productively to create partnerships with patient advocacy groups. RA: How has your opinion of pharma changed throughout your patient journey? DC: I look across the 27 years since I was first diagnosed I really think that there are three phases to pharma, there’s 1.0 where it assumes that the doctors would convey all the information to patients about the medications that they took. Then we saw pharma patient interactions 2.0 where there is direct to consumer advertising, and a lot of partnerships with patient advocacy organisations. I think we’re entering a really exciting new phase, a 3.0 as I think about it, where there are partnerships between pharmaceutical companies, biopharma companies, device companies, with patients and patient advocacy organisations around R&amp,D, around services and tools, as well as programmes, and that’s very exciting to see. The opinion of pharma from a patient perspective is changing from that of just some manufacturer to really a partner that helps me navigate a lot of aspects all around the product that I take for my care. RA: How do you think patient advocacy organisations can better leverage digital health tools? DC: Digital health must be a part of every organisation’s strategy moving forward, and I’ve been somewhat disappointed in the pace at which patient advocacy organisations have really fully embraced the potential of digital tools. I’d love to see more patient advocacy organisations at the digital health summit, the computer electronic show, or other meetings on innovation that are outside the normal medical society presentations and disease state conferences. I think that it’s important for patient organisations to leverage digital tools to reach their core constituents, and to understand them, to take advantage of analytics that are available. They need to really engage patients who aren’t formally on committees or connected in some of the normal pathways, as well as the family members and researchers that comprise the community. Also things like m-health and mobile applications for different conditions that are really starting to prove very impactful on managing health that patient advocacy organisations need to take advantage of. 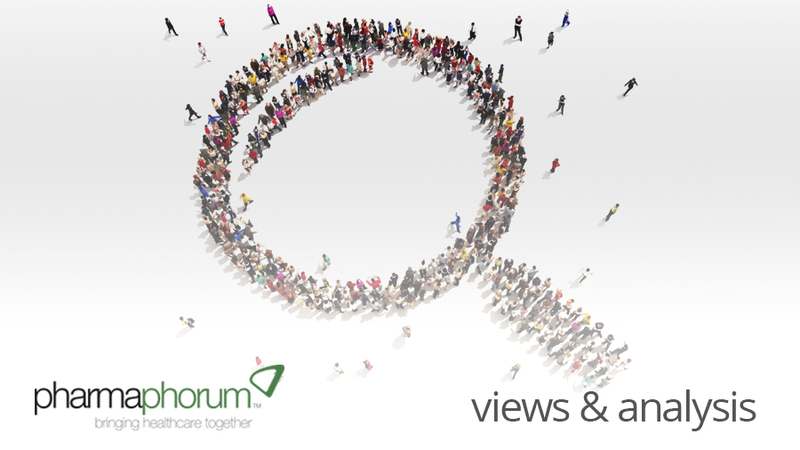 RA: In what ways would you like to see pharma engaging with patient advocacy organisations to improve health? There are roles for patient advocacy organisations to help pharma and ultimately help the patients in all of those steps. As pharma increases its role in facilitating patient organisation collaborations not only with pharma, but with other stakeholders pharma will be really adding value to patient communities and patient experience and to improving health. RA: Thank you Donna, thank you very much for your time. DC: You’re very welcome thank you. Donna R Cryer’s almost two decades of diverse experiences have provided her with a 360 degree perspective on healthcare, spanning associations, hospital consulting, PR and clinical trial recruitment firms. She is an expert speaker on topics of patient engagement, health information technology, and personalized medicine. As CEO of CryerHealth, Donna and her team of medical and public health experts provide strategic counsel to top biopharma and diagnostic firms, and emerging technology companies committed to meaningful partnerships with patients, patient advocacy organizations, and medical societies. Her blog, DCpatient – An Impatient Patient’s Perspective from Washington, DC, and twitter feed @DCpatient are listed as top resources for insights into emerging e-patients and patient advocates. Donna recently served as Chair, President &amp, Chief Executive Officer of the American Liver Foundation, the largest and oldest national non-profit organization serving liver disease patients and their families. She was the first patient to lead the organization in its thirty-six year history. How do you think patient advocacy organisations can better leverage digital health tools?